I swear, you can’t make that kind of thing up. 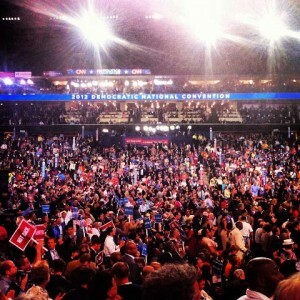 How to read the impact so far of the DNC tribal conclave in Charlotte? It proved to be a curious mixture of the expected slick, smooth professional competence and a cringe-making obsession on the old, beloved social issues (environment, sustainable energy, abortion, free and federally subsidized condoms). Visualize the Republican and Democratic presidential campaigns as two opposing baseball teams. With that metaphor, the Dems have an aging line-up — the Republicans a much younger, though still untried one. At Charlotte, the aging Dem bullpen so far has over-performed above expectations – but still not up to Mr. October standards. First Lady Michelle Obama was in superb form, easily outrunning the competent, fine but still rather stiff delivery of Ann Romney for the Republicans the week before at their summer camp in Tampa. Good old Vice President Joe Biden, put on his favorite, audience-pleasing “rouse the faithful” performance. Every time he plays that act, my conviction grows that Joe is channeling the spirit of Sen. Alben Barkley of Kentucky, Harry Truman’s old veep, who was as much beloved and not taken seriously as Joe himself. But 2012 is not 1948 redux. The economy was booming then. It isn’t now. The economy! That, not the moldy old GOP, was the elephant in the room that no one at Charlotte wanted to admit was there. Sigmund Freud himself would have been amazed at how hard they tried to repress it. It was indeed astonishing how so many of the speakers wanted to wallow in the glories of maintaining abortion-on-demand, immigration-on-demand and everything else-on-demand. The dark reality is that at least 40 million Americans are still out of work, under-employed, on disabled benefit or only able to find work that pays a pittance. 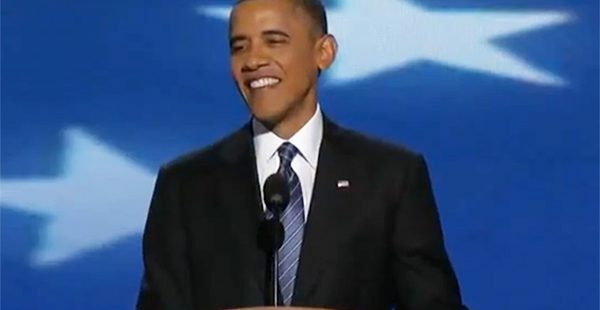 And by a happy coincidence, on the first day of the convention, the U.S. national debt hit $15 trillion. Now that’s a real elephant. What to do about the economy? The Democrats have had four years at bat, and all they can do is still blame George W. Bush. That worked in 2008 – and rightly so. But that was then and this is now. The Republicans have more than a clue what to do. They have an entire strategy. Of course that strategy is filled with hypocrisy, contradictions and nonsense. To embrace Mitt Romney, you have to imagine that he will keep taxes down for the middle class, slash them for the wealthy, refuse to cut a cent of spending from the military, uphold free trade, slash regulations and Shazam! This puny Billy Batson of a U.S. national economy will transform instantly into mighty, muscular Captain Marvel in a blinding flash of life. No wonder Barack Obama still loves to run against Mitt Romney. Romney and the GOP platform are the best hope Obama has for staying in office. Democrats injected energy into a campaign that needed it. Will it carry to the polls? The president at least met the issue head-on in his own speech. 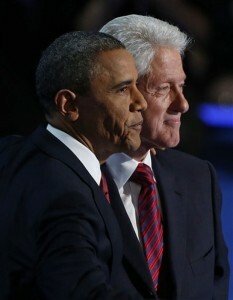 Apart from him and that grand old warrior Bill Clinton, the rest of the convention was an exercise in denial, a wild excursion back into infantile regression — an enthusiastic, self-congratulatory slumber party of excitable 10-year-olds with no hint of approaching puberty: Mickey Rooney and Judy Garland crying “Let’s put on a show!” on the MGM sound-stage. Not to forge the president himself – although often these, days, it’s all too easy to – But his own tone, while sober and realistic, was hardly a rousing summons to battle in the FDR or Ronald Reagan class. Obama put on the mantle of Moses leading his people through 40 more years – sorry, I meant only four more years, of course – wandering through the Wilderness to the Promised Land. That must have sounded good to the word-meisters in the White House, and obviously – they couldn’t come up with anything better. But as I recall, Moses didn’t have to canvass for votes every four years in the desert. And I am also old enough to remember British Prime Minister James Callaghan tried to play the same act for the British people from 1976 to 1979: His reward was to be swept out of office by Margaret Thatcher. Callaghan’s Labour Party had to wait 18 years for their next taste of national power. Somehow, I don’t think that’s the kind of precedent the president had in mind. The Charlotte convention certainly hasn’t been a total bust for the Dems. They did appear to succeed in revving up the enthusiasm base of their core supporters, which has been badly lacking in recent months. On the other hand, I doubt they will have more success than the Republicans did in winning over any of the at-least 12 percent of still undecided voters who will decide this election. Let’s see how the polls crunch on that next week. Surely it’s time to scrap the ponderous ridiculous old convention grand theater at long last. All the scores of millions of dollars spent on all the hoopla in Tampa and Charlotte combined may have only succeeded in driving voters away from the two old party leviathans instead of stampeding them back in. All that effort for so little gain – an encouraging thought, really. It means there may be a few million Americans out there more intelligent than the party masterminds on both sides think they are.